In April 2019, Lawrence Hill received the Library and Archives Scholars award along with Shelagh Rogers, Marie-Louise Arsenault, Ronald Cohen, and Frances Itani. Read about it on CBC. The following article appeared on January 7, 2019 on the Ministry of Labour’s internal employee website. A Chatham boathouse owner got more than he bargained for when he refused to rent fishing boats to Black people. He got to experience the powerful determination of Daniel Hill, Director of Ontario’s Human Rights Commission. It was the 1960s and Mr. Hill had been recently hired by the Department of Labour to start up the commission. His job included spreading the word about its services, investigating complaints of discrimination and seeking justice for victims. Mr. Hill quickly jumped into action when he heard about the boathouse owner. He convened a public hearing in Chatham, and used his influence and deft recruiting skills to transform it into a community event. When the owner arrived, the first thing he noticed was almost everyone in the room was Black. Mr. Hill’s tenacity paid off. The commission won the case. From then on, Black people were able to rent fishing boats from the boathouse owner. This anecdote is one of many told in an autobiographical book by Mr. Hill’s oldest son, Dan, who is a Grammy Award-winning, singer-songwriter. The book is entitled, I am My Father’s Son: A Memoir of Love and Forgiveness. In part, it chronicles Mr. Hill’s pioneering of human rights in Ontario. The Ontario Human Rights Commission was created in 1961. This made Ontario the first jurisdiction in Canada to formally recognize the moral, social and economic consequences of discrimination. No other human rights commission existed in Canada at the time – not even at the federal level. In those days, racism and discrimination were rampant against Black people, Jewish people and others. The commission’s mission was to advocate against discrimination of people based on race, creed (religion), colour, nationality, ancestry and place of origin. Mr. Hill was hired as the commission’s first director. The commission was part of the Department of Labour. Dan describes his father as a “perfect fit” for the commission which, in the beginning, consisted of just two employees – Mr. Hill and his secretary, Madeleine Smith. His father built the commission and its cause from its early days, Mr. Hill says in his book. Not one to hang around the office waiting for the public to come calling, Mr. Hill would jump into his rusted-out, grey Volkswagen Beetle – “the antithesis of civil servant bureaucracy” – and drive across Ontario. He brought the message of human rights to the people, setting up local offices and investigating cases of alleged discrimination. He was on the road up to 10 days a month. Like his brother, Lawrence, an awarding-winning author, has written an autobiographical book that contains many stories about his father. The book is called, Black Berry, Sweet Juice: On Being Black and White in Canada. Born “Daniel Grafton Hill III” in 1923, Mr. Hill was descendent from Black slaves in the United States. His father and grandfather were university-educated ministers in the African Methodist Episcopal Church. “His slave ancestry gave him a good sense of oppression and helped him develop a strong sense of social justice,” Lawrence says in a June 1, 2003 Globe and Mail article. Mr. Hill’s disgust for racism and discrimination grew as he experienced discrimination firsthand growing up in Missouri, and later, through segregation when he served in the American Army during the second world war. This treatment led to him becoming disenchanted with living in the United States. “He often recalled with bitterness that Black men were deemed good enough to die for their country, but not to live on an equal footing with other Americans,” Lawrence says in the article. After the war, Mr. Hill received a Bachelor of Arts degree from Howard University in Washington, D.C., and soon began turning his sights north of the border. He saw Canada as a “blank slate, a new world on which he could project all his ambitions and dreams of glory, without any of the baggage that defined his country of origin,” Dan says in his book. In 1950, Mr. Hill moved to Canada to study sociology at the University of Toronto. In 1951, he received his Master’s. Two years later, Mr. Hill married Donna Bender, a White American civil rights activist and sociologist who shared his passion for human rights and who was instrumental in supporting him throughout his life’s work in the cause. Their children, Dan, Lawrence and the late novelist Karen Hill, were all born in Canada. In 1962, Mrs. Hill heard the human rights commission was looking for a director. She thought her husband would be perfect for the job. A sociologist and recent PhD graduate, Mr. Hill had just written a trailblazing thesis, Negroes in Toronto, that looked at patterns of immigration, employment, where Black people lived and how they integrated socially. The Ontario Human Right Commission evolved from human rights legislation in the 1940s. It grew from rising social activism, union activity that focused on human rights and Canada’s post-war immigration policy that led to a major flow of non-British immigrants in the 1950s. At the same time, rapid economic growth allowed a growing middle class to examine social justice issues. This added fuel to a struggle for human rights. All of the key pieces of human rights legislation introduced in this era (with the exception of the 1944 Racial Discrimination Act) fell under the jurisdiction of the Department of Labour. The commission remained under Labour until 1987 when it was moved to the Ministry of Citizenship and, in 2003, to the Ministry of Attorney General. Mr. Hill headed the Ontario Human Rights Commission for 12 years. During that time, he investigated many cases of discrimination, never losing his fervor to break down barriers and battle racist practices such as a refusal to hire or rent accommodations to visible minorities. He and the commission were often in the news – generating hundreds of headlines and news stories over the years. The commission won most of its cases. Sometimes, Lawrence says, people didn’t like the work of the commission. Angry, they would target Mr. Hill and his family. Both Lawrence and Dan recall receiving hate calls at home and comments from irate neighbours. Some people shouted and swore. Others behaved worse. Lawrence says some people may also have been infuriated that an American was running the human rights commission even though Mr. Hill became a Canadian citizen. He says his father’s work at the commission had a profound impact on him and his family. In 1971, Mr. Hill was appointed chairman of the commission. He took over from Louis Fine, who retired. Two years later, Mr. Hill left the commission to create Canada’s first human rights consulting firm. 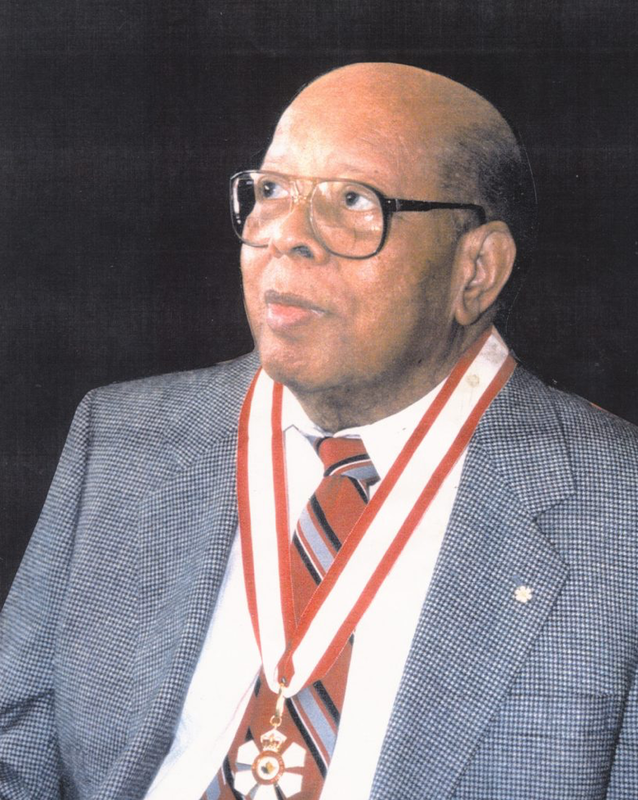 Later, he and his wife founded, as volunteers, the Ontario Black History Society. In 1981, Mr. Hill published The Freedom Seekers: Blacks in Early Canada, a popular history book that remained in print for nearly 20 years. In 1984, Mr. Hill was appointed Ombudsman of Ontario, a post he held for five years until his retirement in 1989. A decade later, he was made an Officer of the Order of Canada. Suffering from poor health in his later years due to diabetes, Mr. Hill passed away in 2003. He was 79. Lawrence says his father forged many alliances with Jewish, Indigenous and other activists over the years. These ties were instrumental in his efforts to promote human rights. “He was a ground-breaking activist moving Ontario in the direction of protecting human rights when it had never done so before,” Lawrence says. “Ontario thus became a leader in the field of human rights protection, for the enactment of legislation and for the investigation of complaints. Lawrence travelled with his mother, Donna Hill, to Switzerland where she went to die on May 17, 2018. His personal essay about their journey and about his mother’s life and death appeared online in the Globe and Mail on June 1, 2018 and in the print edition on June 2. Read about their journey to Switzerland, and the life that brought them there. Lawrence joins visual artist, writer and educator Chantal Gibson for an on-stage conversation on the SFU campus in downtown Vancouver on April 27, 2018. Watch the evening of reading and conversation with Lawrence Hill and Chantal Gibson on YouTube here. Le Sans-papiers, the French translation of The Illegal, has been shortlisted for the Governor General’s Literary Award for Translation. Congratulations to the translators Carole Noël and Marianne Noël-Allen for their marvellous work. Montreal-based Les éditions de la Pleine Lune published the translation in 2016. Lawrence Hill has been named one of two recipients of the 2017 Canada Council for the Arts Molson Prize, for outstanding contributions to the arts. Kent Roach also received the award, for outstanding contributions to the social sciences and humanities. Lawrence Hill's review of Omar El Akkad's novel American War appeared on April 1, 2017 in The Globe and Mail. Lawrence Hill has been selected by the Writer's Trust of Canada for a Berton House residency. Hill will live and write for three months in the winter of 2018 in the childhood home of Canadian literary icon Pierre Berton in Dawson City, Yukon. Congratulations to the writers Elizabeth Ruth, Wendi Stuart and Sandy Pool, who have also been selected for Berton House residencies in 2017-2018. The Illegal, Lawrence Hill's fourth novel and tenth book, is among the 17 Canadian books longlisted for the 2017 International DUBLIN Literary Award. The Globe and Mail has reprinted a modified excerpt of remarks that Lawrence Hill gave at Convocation at McMaster University in Hamilton, Ontario on November 17, on the occasion of receiving an honorary doctorate. Lawrence Hill travelled to Rideau Hall in Ottawa to be among the 46 Canadians to meet Governor General David Johnston and be inducted into The Order of Canada on September 23, 2016. The Illegal is now available throughout North America as an audiobook, published by Recorded Books. Gideon Emery, who was raised in England and in South Africa starts in Teen Wolf among other films narrates the audiobook. Carole Noël and Marianne Noël-Allen have translated The Illegal into French, as Le Sans-papiers. Montreal-based Les éditions de la Pleine Lune published the translation. Le Sans-papiers a été publié par Les éditions de la Pleine Lune, traduit de l'anglais (The Illegal) par Carole Noël and Marianne Noël-Allen. The Book of Negroes is now available as a digital audiobook in Canada, published by HarperCollins. The audiobook is performed by Khadijah Roberts-Abdullah. Listeners can find it on iTunes and Audible. Father and son team Arjaan van Nimwegen and Thijs van Nimwegen have translated The Illegal into Dutch. Zonder land is published by Nieuw Amsterdam press in The Netherlands. Amnesty International has created a book club discussion guide about The Illegal. The Illegal, the fourth novel and tenth book by Lawrence Hill, won CBC Canada Reads 2016 after a spirited defense by Olympic gold medallist and philanthropist Clara Hughes. The pair appeared with Shad on Q on March 25. In the category of TV movie/miniseries, The Book of Negroes won eleven Canadian Screen Awards in March 2016. Presented at galas in Toronto on March 9 and 13, the awards included best TV movie/miniseries, best writer (an award that Clement Virgo and Lawrence Hill shared), and best director, actor, actress, and supporting actress. Lawrence Hill has written in the February 20, 2016 edition of The Globe and Mail about the significance of Harper Lee and her novels To Kill a Mockingbird and Go Set a Watchman to Canadian readers. Lawrence Hill has been appointed professor of creative writing at the University of Guelph. He will join the faculty in July 2016 and begin teaching in September.